Use regional market rate survey data to inform a tax credit formula that will provide a true benefit to families. Support a highly effective child care workforce with scholarships for training and education. 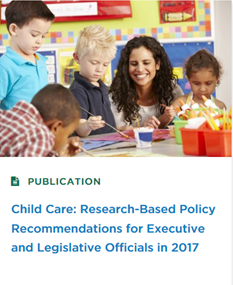 Use caution when amending child care regulations, specifically child-teacher ratios and group size requirements. This short policy brief was released by Child Trends.